Dawn (ヒカリ Hikari) is a young Pokémon Coordinator that used to travel through the Sinnoh region along with Ash and Brock. Dawn started her journey at the age of 10, honing her skills as a Pokémon Trainer and focusing on becoming a top Coordinator like her mother Johanna. Her current team is consisted out of Piplup, Buneary, Pachirisu, Mamoswine,Cyndaquil and Togekiss. She's notable for her confidence, even when she does not have much. She has learned a lot throughout her travels and battles and can get very emotional when it comes to win or lose in a contest. Throughout her Sinnoh travels she has developed rivalries with many coordinators such as Zoey,Nando, Jessie, Kenny and even a fierce one with Ursula, her rival. There is also a disputable "Romantic Interest" she has in Ash, because when Characters accuse her of it, she blushes. Dawn's birthday is January 9. Dawn made her debut in the first episode of Pokémon: Diamond and Pearl, Following a Maiden's Voyage!. In this episode she met Ash'sPikachu after it had temporarily escaped from Team Rocket. ReturningPikachu to Ash would be how she met him and began to travel with him. Now Dawn, Ash, and Brock. Dawn is a very confident person, when she makes a mistake she will often quickly recover and strive to do better. Sometimes she can be a little overconfident though, and it may cause her to make a mistake. Despite this, Dawn is carefree and is always confident in her abilities, even from the beginning of her journey. Dawn will usually say the phrase, "No need to worry! ", to which her mother views this as a cause to worry more. Dawn's mother, Johanna, gave Dawn her very first ribbon in the first episode and now Dawn keeps it with her as a good-luck charm. Her old friends for some mysterious reason (which Dawn keeps trying to hide) call her "Dee Dee" (Diamond Dandruff). In DP161 it was revealed that the reason for the name was due to her hair glittering (ピカピカ pikapika) after being shocked by the class pets in her kindergarten, Plusle and Minun. Due to the trauma from being teased by her entire class with the nickname, she is very reluctant to let others know the origin of the name.With her hair ruined, Kenny spread the word and soon she was teased by the nickname. Dawn seems to be more fixated on her appearance then the other two main female characters Misty and May. In an episode, Dawn would refuse to show herself to Ash and Brock until she straightened out her bed hair. She will also brush her hair thoroughly before appearing on T.V. Dawn also seems to have some talent in designing, as she designed a series of outfits for the Hearthome Collection and Buneary's outfit. In her first contest, Dawn makes friends with a talented Coordinator called Zoey. Dawn loses her accessory just before the contest, and after much panicking and searching, it is revealed that she had dropped it and Zoey had picked it up. After returning it to Dawn, Zoey goes on to win the contest. Dawn cries at her loss and after a quick word of support from her mother, Zoey talks to Dawn about how losing is just a lesson that you should learn from. Dawn promises that she will become just as good as Zoey one day, and at this a rivalry is formed between the two girls. For a while, Dawn seemed to be on a losing streak, losing in the appeal round of her competitions two times in a row. Though learning that the Gym Leader Maylene had similar problems and confidence issues she agreed to battle her in the episode Crossing The Battle Line!. Though she lost this battle, it motivated her to train harder and she did. She eventually would go on to win the Wallace Cup, defeating May in the process. From here on Dawn currently has three ribbons and is strongly pursuing her goal. As she learns about the double appeals in the upcoming contest, Dawn is determinated to create a new combination. At first she lacks of ideas, but soon develeops a Ice-Fire combination idea consisted out of Mamoswine and Cyndaquil. While using Flame Wheel, Cyndaquil is trapped inside of the ice block. Dawn however fails to perfect her combo and it's not until her fifth contest in Daybreak town where she faces Ursula that she manages to use it succesfully. With the help of Plusle and Minun, Ursula manages to make Dawn's hair glitter again embarassing her in front of everyone. Dawn relives the flashback from the past, but soon finds encouragement as she orders one final combo from Cyndaquil and Mamoswine. Within Mamoswine's ice block,Cyndaquil manages to form an ice rocket powered up with a Flame Wheel from inside. The attack succesfully collides with the little Plusle and Minun assuring Dawn her fifth and final contest ribbon then she says that if Kenny or Ursula call her DeeDee (Pikari in the original) again she will shake it off and insult them back if she needs to. Since her last win in the Daybreak town, she has been training hard for the upcoming Grand Festival and has come up with many new combinations such as Pachirisu and Mamoswine combo and Buneary and Cyndaquilcombo. In episode 171 Dawn passes through a town where a pokemon contest (Last one) before the Sinnoh Grand Festival is about to start. Dawn enters the contest as of everyone's surprise (especially Jessie) but the truth is that a Princess who resembles Dawn enters in, posing as Dawn with her Togekiss. Meanwhile, Dawn was posing as the princess. During both Appeal and Battle Round the princess enters with her Togekiss and actually winning it. But Later she gives away the Ribbon to Jessie for her hardwork and gives Dawn her Togekiss so that it may continue to participate in contests. Thus Dawn acquires a Togekiss to her Team. In episode 172 Dawn teaches her new pokemon Togekiss about battles and to maintain elegant looks. In episode 174 the grand festival begins. All the coordinators start-off against each other in the Appeal Round. During the First Round, Ursula uses two Eevees which were evolved into Flareon and Vaporeon, Nando uses Altaria and Kricketot, Zoey uses Gastrodon and Lumineon, Jessilina uses Seviper and Yanmega, Kenny uses Empoleon and Floatzel, Dawn uses Buneary and Cyndaquil and the Festival continues with others. Kenny's performance is flawed when his Empoleon's Flash Cannon hits Floatzel's Whirlpool which knocks Floatzel down. At the end of the day, the results are announced. Except Kenny, all of Dawn's rivals including Dawn make it to the Battle Round. In episode 175 Dawn battles Ursula once again and after 5 minutes of intense battling Dawn defeats Ursala. AfterUrsula's defeat she admits that she is weaker than Dawn and the two go from rivals to best of friends upon leaving the hotel. In episode 176 Dawn manage to reach the top 4 of the grand festival. There finds herself against to no other than Jessilina. In the end Dawn won and advanced to the final to face Zoey who beat Nando in the semi-finals. In episode 177 the Sinnoh Grand Festival starts between Zoey and Dawn, they both showcase their skills as top coordinator; but as the time runs out, with only few points difference Zoey wins the title of Top Coordinator and the Sinnoh Ribbon Cup so she gets in the second place. She promises to her Pokemon that they will not stop trying until they reach the top. In episode 191, this is Dawn's last appearance as a main character. Upon returning to Twinleaf Town, Johanna informs Dawn that Paris from Hearthome City wants Dawn to model Buneary and the outfits she designed. Johanna then tells her that there are no contests in the Isshu region. Although Dawn was originally going to leave with Ash and Brock to participate in the Kanto region Grand Festival, this now leaves the implication that Dawn will remain in Sinnoh and now become a Pokestylist. Ash, Dawn, and Brock arrive at the port at Jubilife City, where they are getting supplies. Dawn thanks Ash and Brock for all their help and wishes them luck in their futures, while Ash and Brock wish her the same. Ash and Dawn give each other one last high five before parting. As Ash, Brock, and Pikachu board the ship, Dawn feels very saddened and looks away as the ship leaves the harbor. Ash then calls out to Dawn, reciting her phrase "No Need to Worry! We'll meet again someday!". Dawn then brightens up and she and a tearful Piplup run out to the harbor and sadly wave goodbye to Ash, Brock and Pikachu as they sail away in the sunset. Piplup then jumps into Dawn's arms and give each other a big hug, knowing although Ash and Brock are no longer with them, they will always have each other. In the Pokemon DP Special Episode 1, Dawn has been spending her time in Twinleaf Town since Buneary's photoshoot, trying to decide whether to pursue becoming a Pokestylist or continuing contests. She visits Rowan's lab where she meets a new trainer, Cinco, who is about to start her journey. However, while she and Cinco are looking for Chimchar and Piplup, who got into a fight and ran off (like the first episode), they are attacked by wild Ariados. Piplup and Cyndaquil do battle against them, resulting in Dawn's Cyndaquil evolving into Quilava. Near the end of the episode, Dawn decides to continue to continue her journey to the Hoenn region. 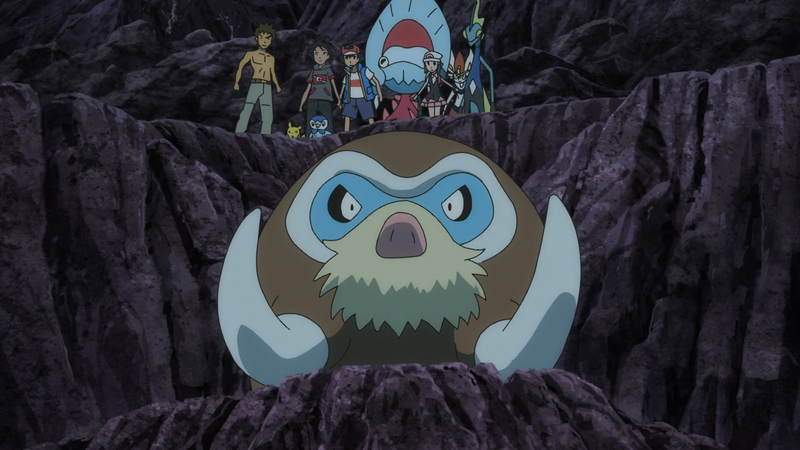 Having run off from the lab in a dispute with Chimchar, Dawn finds Piplup trapped in a web and helps it out. Piplup & Dawn grew a close bond very quickly. 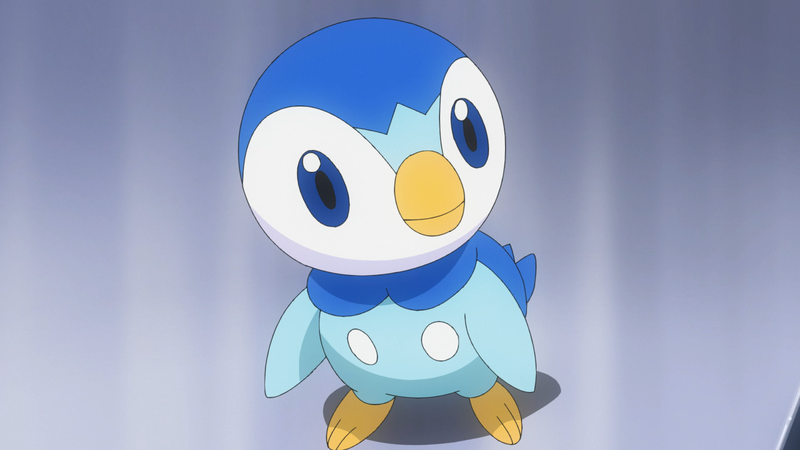 Piplup can be described as a brat, but it truely tries its best in battles, despite the fact that its not the most powerful Pokémon.Piplup usually tries to show off his pride by taking the lead ect.. Dawn tends to let Piplup stay out of its Pokéball but does keep it in sometimes. In the final episode, Piplup is very upset when Ash, Brock and Pikachu return to Kanto, and cries while waving goodbye to them. After having various Buneary attack her during her travels, Dawn came across another Buneary. Eager to add it to her team, she attempts to battle it and eventually succeeds and captures it. 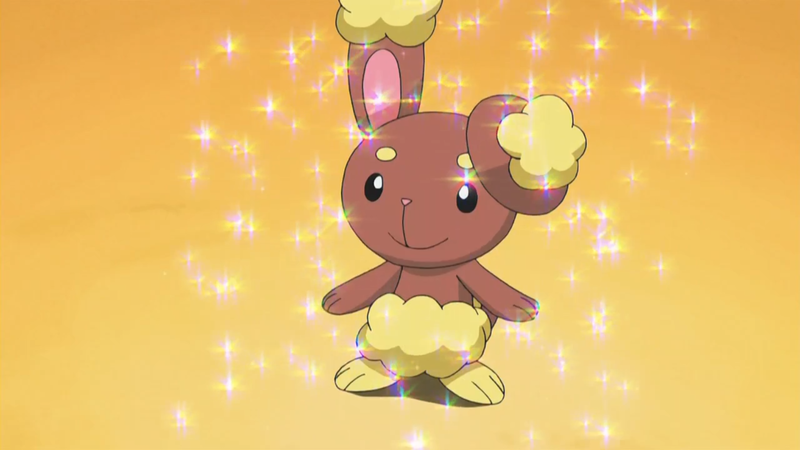 Buneary is female and appears to have a crush on Ash's Pikachu and knows many poweful attacks including Ice Beam. In the final episode, Buneary is chosen to model for a Pokemon Magazine, resulting in Dawn staying behind in Sinnoh while Ash and Brock return to Kanto. During her travels, Dawn met up with a hyper Pachirisu. After several problems between Pachirisu and the group, Dawn eventually befriended the cute little squirrel. It is a loving Pokémon, that is known to shock Dawn whenever it is happy, causing Dawn a Bad Hair Day. However, it has some powerful attacks including Spark so it is able to hold its own in battle. After evolving from Piloswine, Mamoswine seems to be even more hot-headed and immediately charged at Ash & Co.. With its powerful attacks such as AncientPower and Ice Shard, Mamoswine is the major massive powerhouse of Dawn's team. After it evolved, it had trouble obeying Dawn until Dawn managed to convince it to obey when she took care of it when it was injured. When it's not in battle, it has a habit of sleeping. While Dawn was helping Professor Rowan to get some runaway Pokémon back, Dawn & her Pokémon got captured by a swarm of Ariados. 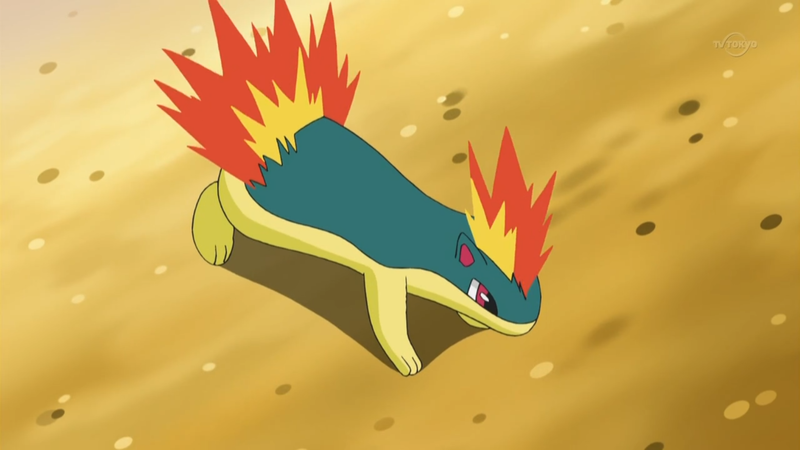 In order to help, Cyndaquil evolved into Quilava and managed to use its massively powerful attacks such as Flamethrower to defeat the Ariados and protect its trainer. After allowing a princess called Salvia to take her place in a Pokémon Contest, Salvia was kind enough to allow Dawn to have her Togekiss so that Togekiss can partake in Pokémon Contests, which Salvia herself is unable to do. 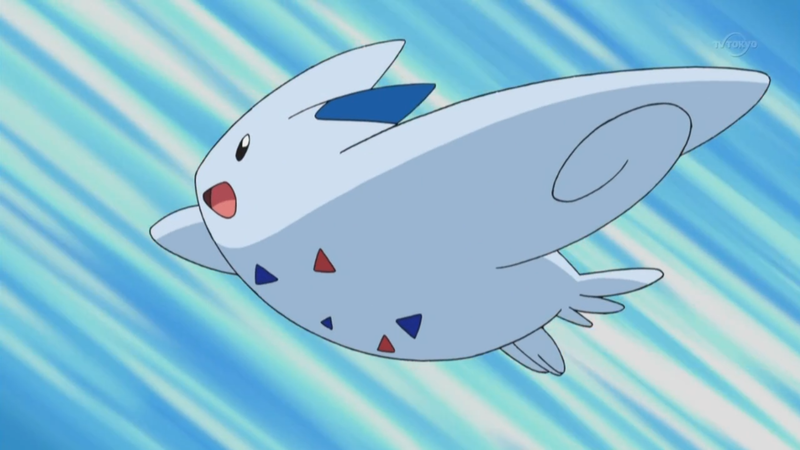 Togekiss has many powerful attacks such as Aura Sphere that allow it to be able to be able to hold its own in battles as well as create dazzling appeals. On Normal Situations, it acts like elderly Pokemon, just like a big Sister to all of other Dawn's Pokemon. Before evolving, Ambipom was originally Ash's Pokémon. However, since Ash met it, it has loved the idea of contests and not battling and was eventually traded to Dawn and evolved soon afterwards. 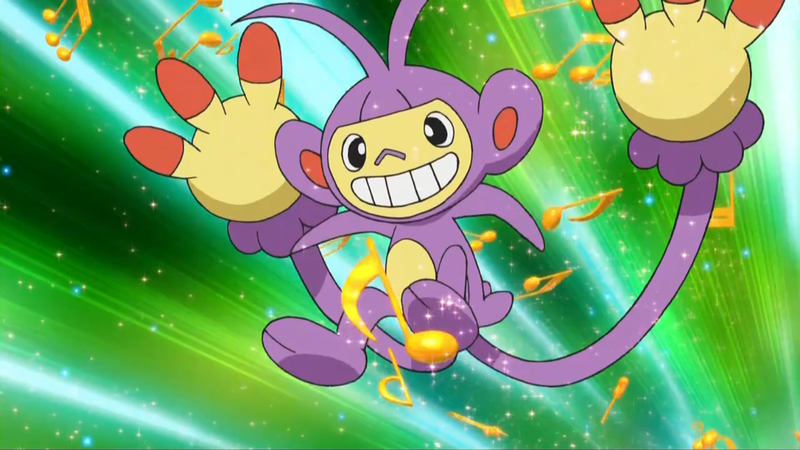 Through the training it received form Ash when it was an Aipom, Ambipom is one of the major powerhouses of Dawn's team, and with this and its love for Contests, it is likely to be used many times in Dawn's campaigns. After partaking in a Pokémon Ping-Pong Tournament, it learned it's true calling and after much consideration, decided to leave Dawn & Ash and stay training in Ping-Pong. After hooking it while fishing, the strong Buizel managed to take out Pikachu, Piplup & Zoey's Glameow. This made all three want to get it. After rescuing it from Team Rocket, Buizel allowed Dawn to battle it in order to capture it, which she did. Buizel is a rather strong & arroagnt Pokémon, the strength of her team. However, due to its arrogance, it is not above disobeying orders. Buizel was more into battling than contests. This led Zoey to ask Dawn if it was right to be in her team. After a trial, Dawn decided to trade Buizel for Ash's Aipom. Floaroma TownRibbon In DP 27 Dawn's Piplup beat Kenny's Prinplup and won her first ribbon. Aqua Ribbon In DP 77-79 theWallace Cup took place. In DP 79 Dawn with her Piplup beat May's Glaceon in the final and finally broke her losing streak. Celestic TownRibbon In DP 95 Dawn won her third Contest Ribbon by defeating Lila (Johanna's childhood friend) in the Celestic Pokémon Contest. Chocovine Town Ribbon In DP 114 Dawn beat her new rival Ursula and won her fourth Ribbon. Daybreak TownRibbon In DP 162 Dawn beat again Ursula's Minun and Plusle and won her fifth Ribbon thus becoming eligible to participate in theSinnohGrand Festival. Dawn's bike was destroyed by Pikachu's Thunderbolt, a sort of on-going gag that has been used with the other two girls, Misty and May. Not with Iris though with her swinging on vines. Both Hikari and Dawn mean some type of light. Dawn is the only female character to travel with Ash and Brock to lose in the appeal round in a contest. Dawn is the only female traveling companion to always dress up for a contest. She is the only character to lose to Jessie in an appeal round. 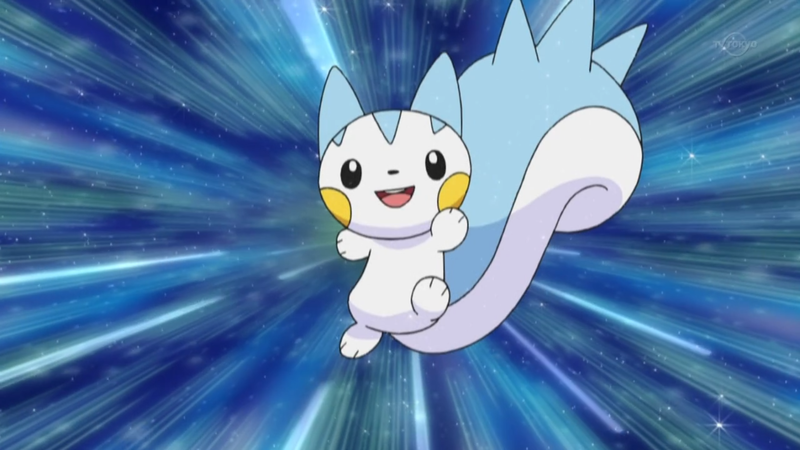 Dawn's Pachirisu is somewhat like May's Skitty; both are playful and chase their own tails. As revealed in DP161, Dawn's nickname Pikari/Dee Dee is tied with her fear of Plusle and Minun. Dawn is the first main character other than Ash to see a Legendary Pokemon right at the beginning of her journey with her destined Pokemon. Ash saw Ho-oh with Pikachu on his side while Dawn saw Mesprit after saving Piplup. Dawn is the first of Ash's companions to have caught an electric type Pokemon, Pachirisu. Dawn's personality reflects the one of the emotion pokemon, Mesprit. Dawn is the first female protagonist who has traded Pokemon with Ash. Zoey and Dawn battle in the Sinnoh Grand Festival Finals and Dawn becomes the Runner-Up, while Zoey wins it. Dawn is the only main character who has never met Misty, Max, Delia, or Tracey. Dawn is the only female character who did not get to travel to Pallet Town, and also did not travel alone with Ash when they started their journey; Brock was with them at the time. Dawn is the only character who did not have a particular reason for traveling with Ash and Brock through Sinnoh. Dawn is the only character besides Tracey who only traveled with Ash for one course of a region. Dawn is the only character that recognizes Team Rocket in disguise. Dawn is the second character besides May to travel to another region Ash has already been through. In Dawn's case, she traveled to Hoenn where Ash previously traveled, and May traveled to Johto where Ash was traveling before meeting her. Dawn is the only Trainer who is not related or is a Gym leader the has traveled with Ash. Dawn traveling to Hoenn possibly implicates a future cameo in the Best Wishes series, as well as possiblePokemon Ruby and Sapphire remakes; however, this has yet to be confirmed. Pokemon wikii Wiki is a FANDOM Games Community.